Water scarcity, urban population growth, and deteriorating infrastructure are impacting water security around the globe. Struggling with the most significant drought in its recorded history, California faces all of these challenges to secure reliable water supplies for the future. 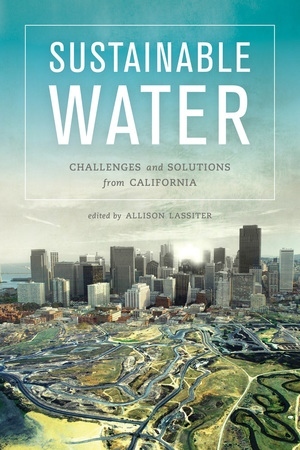 The unfolding story of California water includes warnings and solutions for any region seeking to manage water among the pressures of a dynamic society and environment. Written by leading policy makers, lawyers, economists, hydrologists, ecologists, engineers, and planners, Sustainable Water reaches across disciplines to address problems and solutions for the sustainable use of water in urban areas. The solutions and ideas put forward in this book integrate water management strategies to increase resilience in a changing world. Allison Lassiter completed a PhD in Landscape Architecture and Environmental Planning at UC Berkeley. "As the chapters in this book so clearly demonstrate, we are a long way from a reliable and sustainable water system. Fortunately, successful alternatives exist and are waiting for the opportunity to blossom."